Children who experience severe trauma early in life are at high risk for poor health outcomes in adulthood, including cardiovascular disease, cancer, asthma and depression. Effective interventions can improve outcomes. The adverse consequences of childhood trauma not only impact children’s lives in the near term but also can have severe long-term impact on their adult life. Several studies have demonstrated that patients exposed to trauma-induced stress in their first eight years of life are more likely to develop mood disorders, psychotic disorders and post-traumatic stress disorder (PTSD) than children who are not exposed to trauma. At Cleveland Clinic, we are studying the link between childhood trauma, inflammatory markers and development of psychiatric disorders in children, as well as how effective interventions during critical periods of development can potentially alter the course of psychiatric disorders. The problem is widespread: 3 million cases of childhood trauma are reported in the United States each year, according to the U.S. Department of Health and Human Services. In 2009, about 1 million of these cases were substantiated; of those cases, 1,770 resulted in death of a child secondary to the maltreatment. Statistically, this means that an average of five children per day are victims of fatal maltreatment. Approximately 80 percent of the cases were reported in children under age 4. Retrospective studies in the adult population evaluating the rate of trauma exposure during childhood estimate the rate to be as high as 25 to 45 percent. There also is an increased incidence of traumatic experiences in childhood among individuals who attempt suicide. The severity of the trauma, as measured by patients’ total Adverse Childhood Experiences score, is positively correlated with suicide attempts during childhood or adolescence and has been found to have a strong graded relationship with the severity of the trauma exposure. During the past few decades, researchers have demonstrated how trauma early in life can strongly impact and potentially trigger the development of chronic illness. In addition to mental illness, victims of child abuse are more susceptible to developing allergies and asthma, autoimmune disorders, osteoarthritis, cardiovascular disease and metabolic disorders. Several specific characteristics occur more frequently in victims of childhood abuse and might influence the development of chronic illness. These include poor sleep quality, elevated perceived stress, high body weight and small social networks. These factors all have been demonstrated to increase inflammation in victims of childhood abuse compared with nonvictims. These patients may be at risk of dying younger secondary to the chronic effects of inflammation. Advances in neuroscience, genetics and biomarker studies are changing how we view the impact of adversity. When an individual feels threatened, the human body activates different biological pathways designed to protect the individual from events that may threaten survival (Figure 1). The initial sympathetic response ‒ “the fight or flight” reaction ‒ produces increased levels of adrenaline and noradrenaline that cause an increased heart rate, peripheral vasoconstriction and massive energy mobilization. FIGURE1. Biological responses to stressors. Emotional trauma causes neuroinflammation, which is linked to multiple biological responses. The hypothalamus-pituitary-adrenal axis, one of the central stress response systems, provides a protracted response, triggering secretion of corticotropin-releasing hormone. Studies have demonstrated that corticotropin-releasing hormone has pro-inflammatory properties that can regulate blood-brain barrier (BBB) leakage. Animal models of early stress in rats have been shown to induce BBB breakdown. Several animal models of PTSD have demonstrated how rats confronted with a traumatic event have increased values of the BBB disruption biomarker S100B. Practically speaking, effective interventions to reduce rates of trauma in children can improve outcomes. Pediatric specialists, generalists and psychiatrists are in a unique position to help youth improve their quality of life as adults by helping identify children at risk. At Cleveland Clinic, our research continues on the long-term impact of childhood abuse in youth and on the relationship between childhood trauma and development of psychiatric disorders. 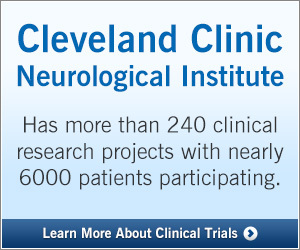 Dr. Falcone is a child and adolescent psychiatrist in Cleveland Clinic’s Neurological Institute, where she is also a staff member in the Epilepsy Center. She is currently implementing Project Stand Up to help youth with special healthcare needs in Ohio and seven other states. Her interests include psychiatric comorbidities faced by pediatric patients with epilepsy, biomarkers in child psychiatry and suicide prevention in children and adolescents. She can be reached at 216.444.7459 or falcont1@ccf.org. -Johnson S, Riley A, Granger D, Riis J. The science of early life toxic stress for pediatric practice and advocacy. Pediatrics. 2013;131:319-327. -Danese A, Moffitt TE, Pariante CM, Ambler A, Poulton R, Caspi A. Elevated inflammation levels in depressed adults with a history of childhood maltreatment. Arch Gen Psychiatry. 2008;65:409-415. -Carrion VG, Wong SS. Can traumatic stress alter the brain? Understanding the implications of early trauma on brain development and learning. J Adolescent Health. 2012;51:S23-S28. -Slopen N, Koenen KC, Kubzansky LD. Childhood adversity and immune and inflammatory biomarkers associated with cardiovascular risk in youth: a systematic review. Brain Behav Immun. 2012;26:239-250. -Slopen N, Kubzansky LD, McLaughlin KA, Koenen KC. Childhood adversity and inflammatory processes in youth: a prospective study. Psychoneuroendocrinology. 2013;38:188-200.